All financial liabilities resolved and its 2013 eligibility essentially confirmed with the Election Commission of Bhutan (ECB), the People’s Democratic Party (PDP) is all set to ‘trot’ gently toward the big elections with new and improved philosophies… and a brand new logo. The PDP horse from yester years, which kicked high with maximum horsepower will now trot gently adorned with a ‘mashu madhen’ cloth. “Party members felt that a rearing horse could appear too aggressive, and difficult to control. Hence a more subdued, yet strong, horse representing the Party’s commitment to obey and be led by the aspirations of the people,” Party President Tshering Tobgay explained. The party’s Working Committee (WC) has studied all the comments and incorporated as many of the major comments as possible. In particular, the WC has decided to remove any direct reference to the horse’s gender and to realign the letters surrounding the horse. However, the mane and tail of the horse looks groomed and toned. The new logo emerged after party members resolved to revise it during the party’s last General Convention on May 19 this year in the capital. “The General Convention is the Party’s highest decision making body, so we are bound to follow their directives. 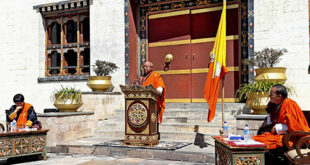 Hence the change in design,” Party President and Opposition Leader Tshering Tobgay said. Unlike other parties, PDP used the social media to invite the general public’s views on the design. “Many, if not most, of the responses were well considered and helped us to continue the discussions. Having listened to the people, we are now more confident that the party symbol will represent the aspirations of the people,” he said. The President posted the logo on popular sites such as Facebook and Twitter. The response was “overwhelming”. As of yesterday the new logo posted by OL on his Facebook fan page generated 475 “Likes” and 224 comments. The logo was also shared on his personal FB profile among others. The President said the draft logo was also distributed to all party members by email. “Many members responded with their comments and suggestions,” he said. He further added that “members during the general convention suggested placing something on the horse’s back, to represent the Party’s commitment to faithfully carry out all its responsibilities to the tsa-wa-sum and remove the circle that could constrain the horse”. 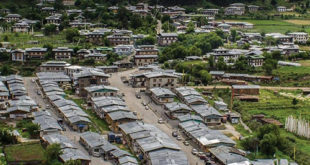 The party is guided by their ideology Wangtse Chirphel, meaning “empowering people by devolving power and authority to local governments, private sector, civil service, media and other institutions, in keeping with the provisions of the Constitution”. On August 6, 2007, PDP became the first registered political party in Bhutan after formal registration with the ECB. It also began its politicking much earlier but secured only two seats in the National Assembly in the March 2008 elections. PDP will submit its new proposed party logo to the ECB by next week. 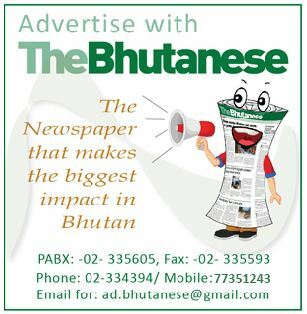 And theBhutanese will do all its media coverage. and people like Lingpa will will be treated as per the Law of the Land. what ever the Bhutanese had been providing most vulnerable issues, otherwise we bhutanese would have been staying in darkness. keep up your sprit. The horse looks strong to kick off another mockery DEFEAT in 2013 PRELIMINARY ROUND only!